In the past National Day Holiday, ChinaXianTour found a good place for tourists where three provinces- Shaanxi, Henan, and Hubei, can be crossed in a few seconds, where different flavors of lamb bread in the soup, spicy soup and Sanhe soup meet and have a nice name. Bailang Street is located at the southeastern border of Shaanxi Province, the junction of Shaanxi, Henan and Hubei provinces. Here, the border sign is a “three provinces’ stone”. 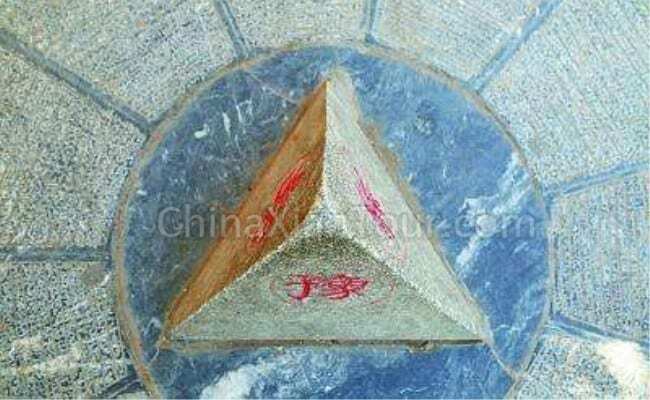 Since ancient times, the center of the stone has been set as the starting point, and the west has been governed by Shaanxi province, the southeast has been governed by Hubei province, and the northeast has been governed by Henan province. Here, you can listen to Shaanxi opera, Henan Bangzi opera, and Chu opera that played at the same time on the TV. In the meantime, you can smell different fragrances of Shaanxi Mutton and Bread Pieces in Soup , Henan spicy soup, and Hubei Sanhe soup from the farmyard. At the small Street, there are less than 100 households from three provinces, however, they speak three different dialects, have different customs and filled with different cultures from three provinces. Walking into Bailang Street, the road is spacious and clean with the ginkgo trees on both sides of the road. The people who speak different dialects greet with each other on the street. And the Hotel of Three Provinces, the Friendship Square of Three Provinces and other shops named with three provinces are particularly catching. Sometimes, tourists go through the streets and take pictures to record this magical place, and Danjiang River is flowing behind the town. Various tourist souvenirs are sold at the old streets, and most of them are related to the concept of “one foot in three provinces”. The most straightforward products are straw shoes and insoles, all of which use “foot” to make advertisements. The street is charged by three provinces. During the planned economy era, it is inconvenient to buy things. However, the exchange of goods has been liberalized, and there are many cooperations here, while telephone fee are also charged according to local standards. You can buy cigarettes from three provinces : the Monkey King from Shaanxi, the Hongqi Canal from Henan, and the Red Golden Dragon from Hubei. Then, you can place them on the map in the three provinces, and you will clearly understand the positional relationship. 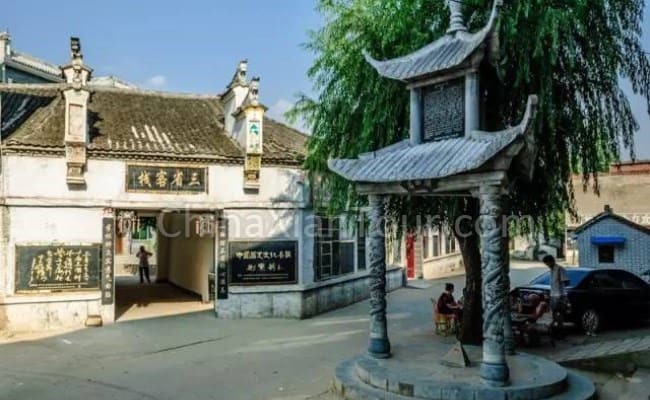 Bailang Street Village is located at the bank of Danjiang River, which is the junction of Qinling and Daba Mountain,and also at the junction of Shaanxi, Hubei and Henan provinces. Danjiang River flows through Zhulin Pass and goes southeast, then will enter Shangnan County. Danjiangyuan originates from the south of the Fengguan Mountain at the Qinling Mountains in southwestern Shaanxi province. The two sides of the river are beautiful sceneries with many natural and cultural landscapes. Besides, the shipping industry has a long history. Jingziguan Town is located at the bank of Danjiang River. It is separated with Bailang Street by a bridge, and belongs to the first batch of historical and cultural towns announced by Henan Province. When you walk along the long street, you will know how powerful it is. And, it is one of the most complete “guild hall streets” in China, including Shanshan Guild Hall, Wanshou Palace (Jiangxi Guild Hall), Yuwang Palace (Hunan and Hubei Guild Hall), Pinglang Palace (ship union), Henan Guild Hall, Chenghuang Temple, etc. It connected with Shaanxi province in the west, and Hubei province in the south. Therefore, it has become a competitive place for the businessman to gather, meanwhile, it has became a Military area due to its superior and unique geographical position for centuraries. It is located in the Xia Si Pier area of the Danjiangkou Reservoir, with more than 7,000 pieces of cultural relics unearthed. Among them, bronzes, pilates, chimes, and stone slabs are rare treasures. 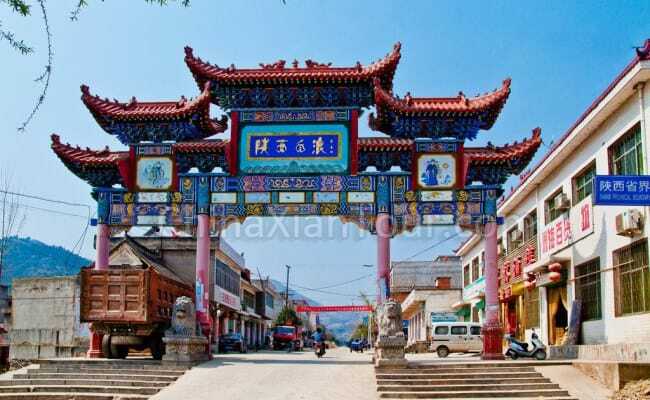 Longyuzhai Village was called Longguizhai Village at the beginning, and it has been gathered many merchants since ancient times. After that, for the Han emperor Liu Bang went into the Qin area, his mount born a horse in this village, so he changed name of the village into Longyuzhai Village. The ancient city village, 2.5 kilometers west of Longzhai Town, is the most important border city in the Qin Dynasty during the Warring States Period. Also, it is the prototype of story, Shang Yang governed the city in ancient times. It is a well-known port place in ancient times, known as “the key to the central Shaanxi plain ”. It was formed in Qin Dynasty, popularized in Tang Dynasty, and prosperous in the Qing Dynasty. By far, there are more than ten clubs, such as boat gangs, salt gangs, tea gangs, and so on.